Our initial memory of the plug-in hybrid Chevy Volt auto was one of curiosity mixed with a twinge of frustration. That was a couple of years ago when the Volt was fresh off the drawing board and hadn't yet conjured up images of imitators. 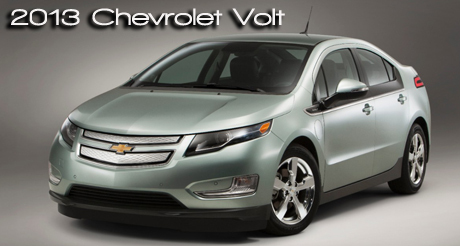 With a new year well underway, we thought it the ideal time to revisit what we consider a modern classic -- the 2013 Chevrolet Volt extended range auto. Instead of the electric charge red of our initial test car, the contemporary version of our sleek five-door for four arrived in 2013's new Silver Topaz Metallic, the kind of cool, muted gray that often enhances an auto with luxury credentials. While not considered luxury, the Volt bears a heftier entry price than a non-techno sedan, thanks to the sophisticated technology that makes it work. Checking our current test Volt's interior with its handsome, suede surfaces in a shade called Pebble Beige and plush to the touch feel with heated seats might convince you it is, however. The somewhat confusing estimated combined city/highway driving on our 2013 model test car's fact sheet was rated at 98 MPG (again boosted) following a four-hour drink at the 240-volt power cord faucet. 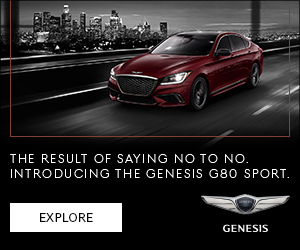 (Chevy has claimed it can drive gas-less virtually indefinitely if handled efficiently, or -- this year -- 380 uninterrupted miles with a full charge and full gas tank the way most of us road cruise.) Any way, we consider that's a lot of WHEEEE time for a high occupancy lane, “green sticker,” earth friendly auto without the smell of petrol in our nose. Despite its 1.4-liter range extender engine, this car never drives on the internal combustion engine itself. Rather, the engine, along with regenerative braking, acts as a generator to feed power back into the battery that fuels an electric motor that drives the wheels. If that's difficult to envision, Chevy has a bottoms up diagram at its Chevy.com site. How it works isn't something one probably thinks about with pedal to the metal. You punch it down and it goes. Depending on energy setting, it can surge ahead with some amount of authority and playful steering or be more conservative in “Hold” mode (and thus energy-saving). We found it zoomed along with abandon, super quick pickup and a feeling of driving freedom when we let it go. Cornering was responsive but didn't get to the two wheel variety, however. We assume the lithium ion battery pack centered below would add enough weight to prevent such actions so we really didn't try. The Volt addresses something Chevy folk refer to as “range anxiety,” giving it the capacity to go beyond safe boundaries one might encounter with an electric-only vehicle. Afraid of running dry beyond the initial charged capability? A smart phone app will diagnose the remaining charge and also tell if your Volt is plugged into a charger. (Worried that it came unplugged from a pay for play charging station outside your favorite trendy movie theater while watching Argo? This app can let you know it's still connected.) For those with life range anxiety, the battery and component wear an eight-year, 100,000 mile warranty. But if the top safety-rated Volt, loaded with safety warning systems, gets derailed by a flat, don't look for any kind of spare. A space saving air pump in the trunk area is a reason the Volt has more than adequate space beneath its rear hatch for luggage, packages or garage sale finds. Chevy's web site that includes a $7,500 tax credit. And the initial frustration we mentioned earlier? That was the quirk of finding the earlier Volt didn't necessarily like the electric circuit we tapped it into. We didn't have that problem this time, but couldn't determine if it was changes to the charger or our finding a more accommodating, newer electrical source. Sometimes old friends can be a bit fussy. For more information on Chevrolet vehicles, click here.